Sign up to receive e-mail newsletters on new books, library events and so much more! 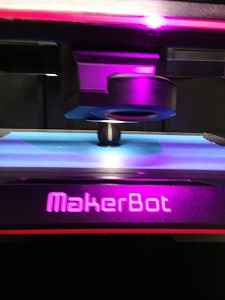 The Copiague Library is excited to offer patrons access to a 3D printer, the Makerbot Replicator+. 3D printing is the process of making 3D objects from a digital design. 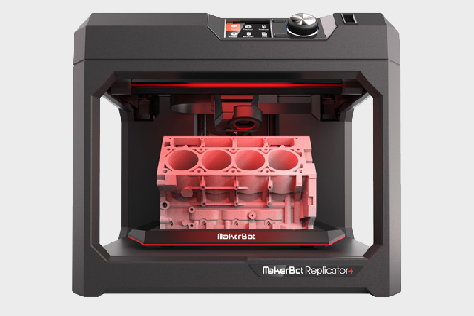 Patrons will be able to submit 3D design files to be printed by the Makerbot Replicator+. Patrons can design their own 3D objects or submit a design from another source they have permission to use. Patrons can use the form below to submit a request to have a design printed by the library’s 3D printer. After the request is received a library staff member will contact you so that you can send us the design file you would like printed. Once it is determined that the design does not violate the Library’s 3D Printing Policy it will be put in the 3D printing queue to be printed (designs will be printed in the order they are approved). When your design has finished printing a library staff member will contact you to pick it up. The 3D printer was graciously donated by the Friends of the Copiague Library.